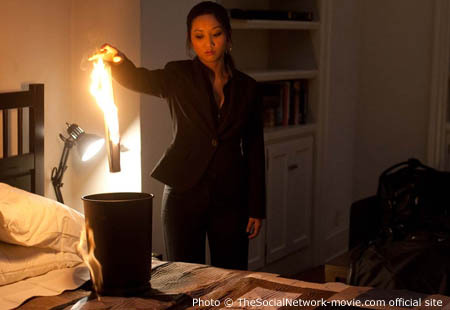 The Hopkinson Report » Episode 124: The Social Network Movie Review – What’s more important, the product or the money? 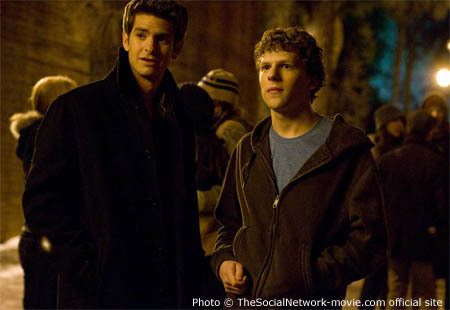 Episode 124: The Social Network Movie Review – What’s more important, the product or the money? As someone that covers all things social media, it was almost my job — adult homework so to speak — to go out and see The Social Network, aka The Facebook movie. For me, it didn’t disappoint. I thought it was great. In this podcast, I highlight the theme of product vs. money. Like many others, I rushed out to see The Social Network on opening weekend. 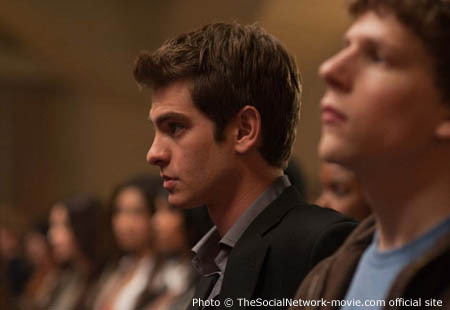 If you recall, back in July I gave 7 reasons why ‘The Social Network’ Facebook movie will be a huge success. And while the $23 million opening weekend wasn’t spectacular (Inception did $62m it’s opening weekend), it did land at #1. How The Social Network highlights the struggle between focusing on the product vs. focusing on the money in a startup business. With revenue like that, upper management left us to do one thing… build the best possible product and bring in as many users as possible. It was truly a magical time and a once-in-a-lifetime team, with all-star players at each position: engineering. production, editorial, design, and customer service. But then I started to see the dark side. There was one ad sales guy in Seattle, and like any salesman, his job was to push. To ask. To test the limits. Could we put a banner here? Can we make the logo bigger? What if editorial mentions the sponsor in a column? How can we get them more exposure? It was their job to ask and try to make money, and it was our job to defend the product. Then I REALLY went to the dark side. I moved into the marketing department, and transferred to New York. Now I was SURROUNDED by salespeople. I got to know them. I worked with them. I went out for drinks with them. And I started to respect them. Because what we didn’t see on the west coast, was that the sales team had an amazing skill set as well. they were all-stars too. They were able to walk into agencies and companies and show them the value of associating with our brand. And in most cases, bring in thousands and thousands of dollars. And those dollars bought more servers, and more engineers. So I learned a valuable lesson showing me the value between protecting the product vs going after revenue. And that’s what plays out in the movie. The main focus of the movie, Zuckerberg struggles to “Keep it cool” while Saverin goes and talks to advertisers. One brother wants to do things “the Harvard way” … to be a man, to let it go, to take the right path, and to build a new product. The Harvard way is basically the product they are trying to emulate. The money side? They want to sue the pants off them. Justin Timberlake’s character takes the comparison to the extreme with his most famous project – Napster. He truly wanted to make a great product … one that not only gets you noticed, but disrupts and destroys an entire industry and brings him fame. Did he make money? Quite the opposite as he was sued for millions and millions. But don’t cry for him. This Vanity Fair profile says he’s worth a billion dollars now. This story is as old as time. The women on campus wouldn’t look twice at a nerd like Zuckerberg (the product). Until of course, they find out that he invented “The Facebook” (the money). Of course, we see how that works out for Saverin. Facebook and Twitter and Foursquareâ€¦ three examples of companies focusing on the product. For months and months we were waiting, waiting, waiting and asking what is the revenue model? Some are doing better than others. Then I ask, how many great ideas went under before made it mainstream because not enough money to sustain it? What’s the answer? It’s easy to say it’s a balance. But maybe I’m wrong. You tell me. In my career, I’ve seen the product focus on the west coast, and the money in New York. But with all the VC and funding and Silicon Valley drama, maybe the west coast is where the money resides as well. So, do you launch a good product, get as far as you can without taking cash? Avoid banners and fees and costs like the plague until you hit critical mass? Or has the recession killed that? Is an iron-clad revenue model essential for starting your business? This entry was posted on Thursday, October 7th, 2010 at 6:47 am and is filed under Facebook, Pop Culture / Entertainment, Social Networking / New Media. You can follow any responses to this entry through the RSS 2.0 feed. Both comments and pings are currently closed.